Elegant and comfortable design with a numerous selection of colors for a personalized configuration. 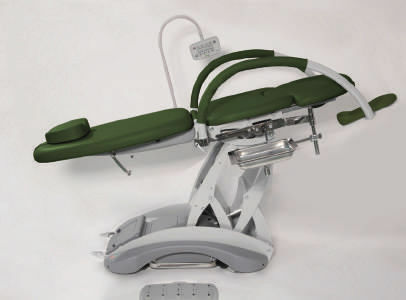 Silent and flowing adjustments to the movements of the chair. 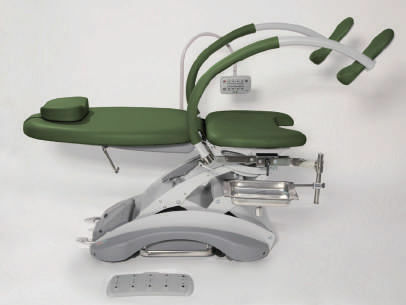 Chair equipped with 4 electric motors at low voltage (24V-DC). 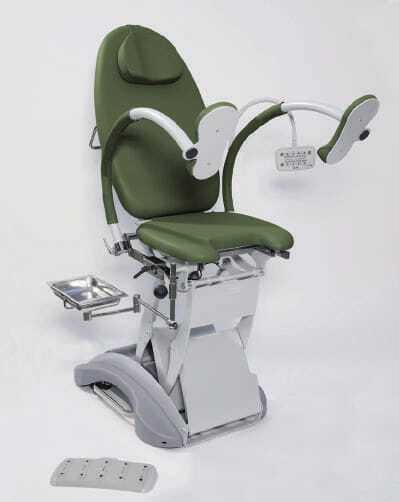 Electric and independent movements: lifting, backrest, trendelenburg and footrest / armrests.The frame is made with the use of high quality steel, powder coated in light gray with antimicrobial characteristics. The upholstery is made of sky fabric with antibacterial, antifungal, fireproof, disinfectable and highly resistant to abrasion. 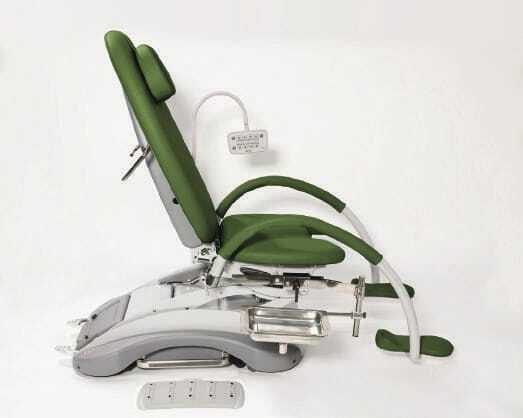 The base is equipped with 4 wheel with a pedal stop device to ensure easy movement of the chair and to allow the work environment to be sanitized with ease. The chair has a minimum height of the seat from the floor to allow easy access and avoid the use of the stool. High load capacity: max 230 kg. 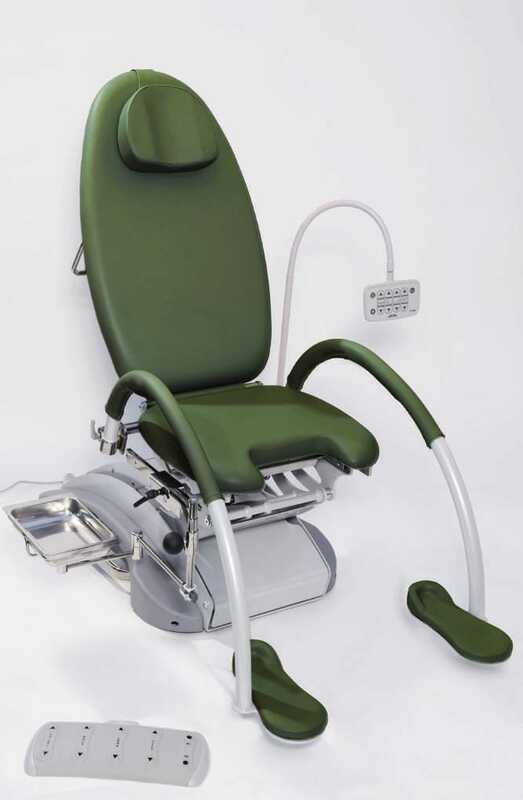 Standard equipment: liquid collection bowl in stainless steel complete of support with articulated arm and pair of side bars for accessories mounted on the seat.